In the state of Georgia, (or the southeast for that matter), we have many types of ants living outdoors. 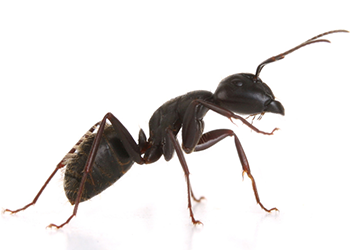 Typically the Carpenter Ant takes on a separate approach than the rest of the pack. The Carpenter Ant is the one ant that can cause significant damage to our structures or homes more so than other ant species. Carpenter Ants do not eat the wood like termites but can instead dig and chew through it to makes room for their nest site. These nest sites can be located anywhere within the structure. They can be found within wall voids, beneath flooring, crawlspaces, ceilings, attics, etc. During this digging process, you can find what's called “Frass”, (small wooden fragment like dust) piles outside their entry or exit points. 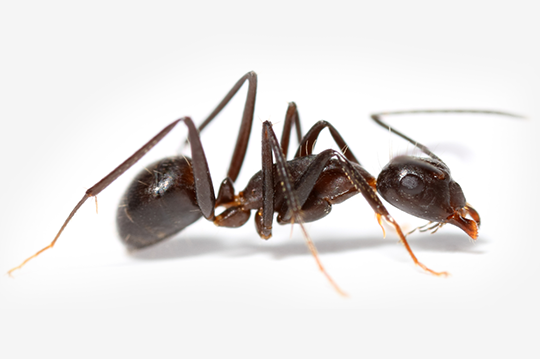 Most ants, (including Carpenter Ants) can be eradicated with treatments on the exterior however the Carpenter Ant must be treated as well within the structure or voids if their nest site has moved indoors. This indoor treatment may require special products and equipment to provide the best possible thorough treatment.